Audi has finally taken the wraps off of their new flagship SUV the Q8. 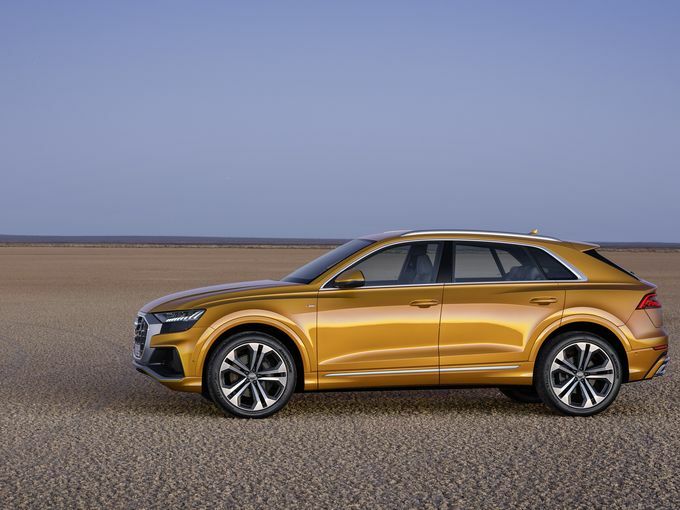 The new Audi Q8 will sit above the Q7 in Audi’s range and take on the likes of the BMW X6 and RANGE ROVER SPORT . 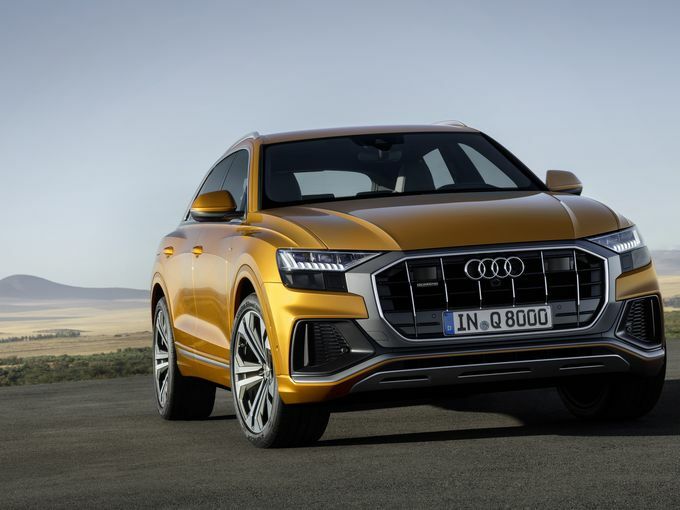 The new Audi Q8 looks just like typical Audi with that oversized radiator grille, flared wheel arches and crisp character lines. 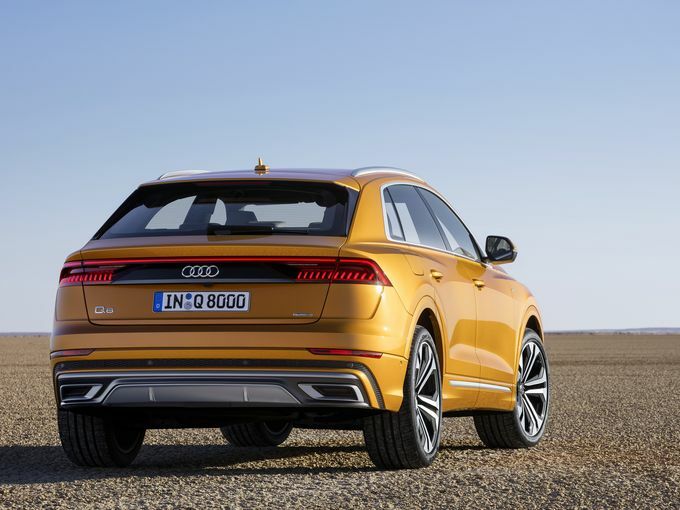 Audi Q8 gets “HD Matrix” headlights and connected taillamps, with a gloss black strip serving as an underline. Since the Audi Q8 is a coupe ,the roofline is tighter compared to the Q7, swooping aggressively from the B-pillar . 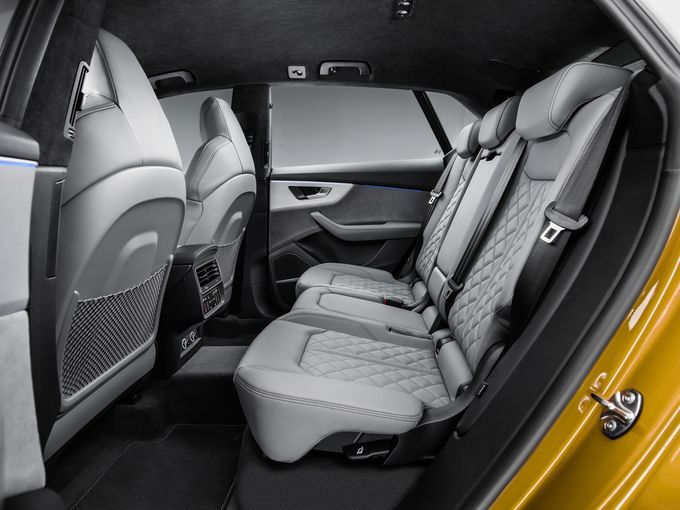 Interior of the Audi Q8 is simple and offers minimalistic design philosophy just like the newer Audis (A8 & A6) . The dash is divided to three screens, one each for the instrument cluster, infotainment and air-con controls respectively . Design highlights include the faux AC vents that run from doorpad to doorpad, and the single-piece gloss black trim that separates the top half of the dash from the lower portion. Audi connect key that will let you unlock and start the vehicle using a phone. The app will also allow you to store upto 400 different driver profiles, and transfer navigation, music and calendar data to the car. lane change warning along with 360° camera. Audi’s “remote garage pilot” that ensures the car drives into the garage and back out of it on its own. Audi is currently offering a 3.0-litre V6 diesel engine for the Q8. With 286hp and 600Nm of torque , the Q8 is capable of hitting 0-100kmph in about 6 second . The Q8 gets an 8-speed gearbox and quattro all-wheel drive tech. Audi plans on adding a 3.0-litre turbo-petrol motor soon. Also, there will be SQ8 and RS Q8 on offer , which should be packed with some good number in terms of power and driving dynamics . Since the Q8 is a SUV in heart , The Q8 features a mechanical center differential that splits the torque in a 40:60 ratio. Audi says the diff will transfer “majority” of the power to the axle with better traction on demand . There’s 254mm of ground clearance on offer too. 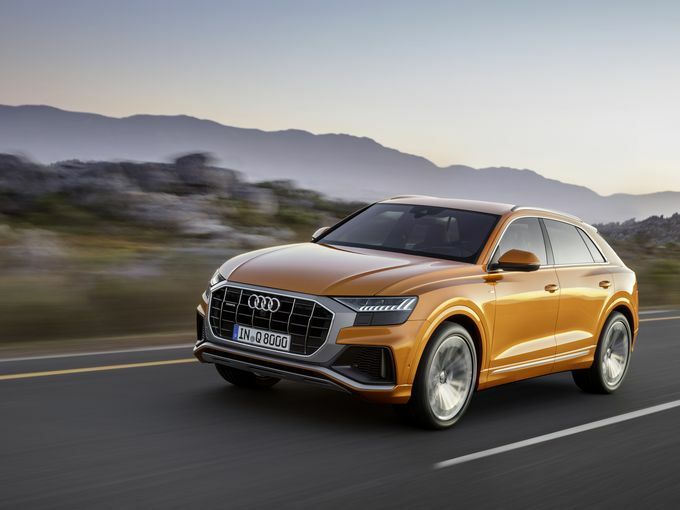 Audi is offering damper control as standard for the Q8. Adaptive air suspension is optional, which can be set to either comfort or sport. Audi says the driver can drop the ride height by as much as 90mm, if he/she wants to. 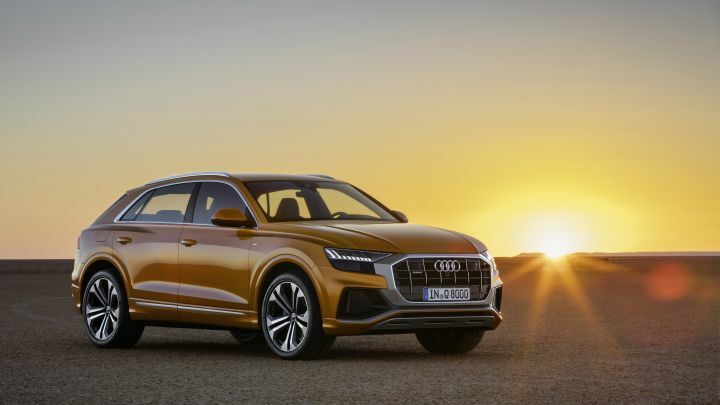 We can expect Audi Q8 to be launched by early 2019 . Prices may cross the Rs 1 crore mark.